With digital fog so prevalent in our society, sometimes you have to wonder where the time goes. It seems to just vanish. 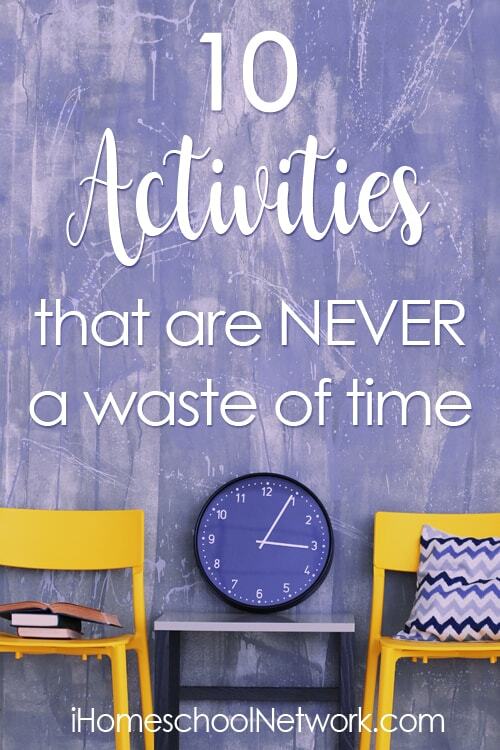 But, there are some activities that are never a waste of time. Maybe it’s setting aside time for reading aloud as a family. Or, maybe it’s game night around the dinner table. It might even look like going to a drive-in movie and sneaking in your own popcorn. We’re bringing you our lists of 10 activities which we feel are never a waste of time. And, we hope that you’ll find that they are never a waste of time for you as well. What activities do you think should be included in this list? What are you doing or teaching that is never a waste of your time? Share your thoughts in the comments below.